There is nothing more special than the love between expecting parents and their unborn child. 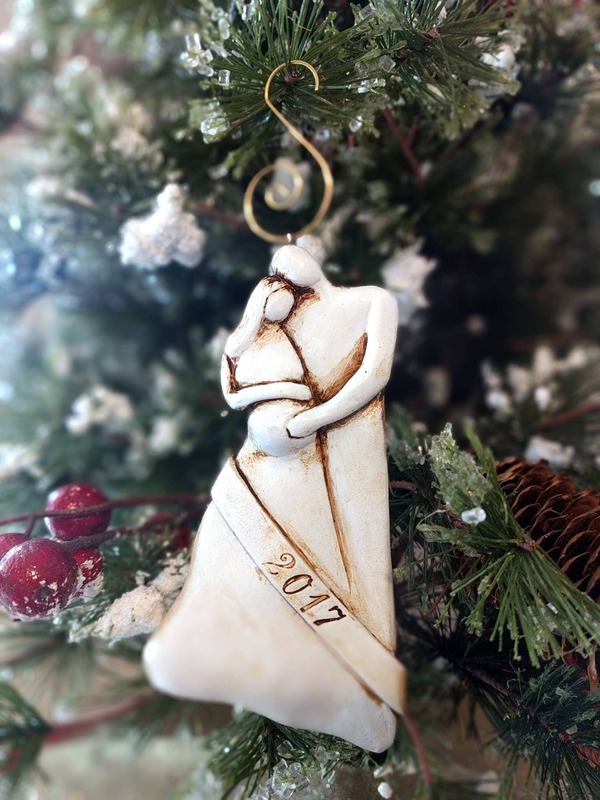 This unique, handmade, expecting parent's Christmas ornament is a wonderful way to show the new parents to be in your life that you know how special this time is for them and to celebrate their pregnancy. 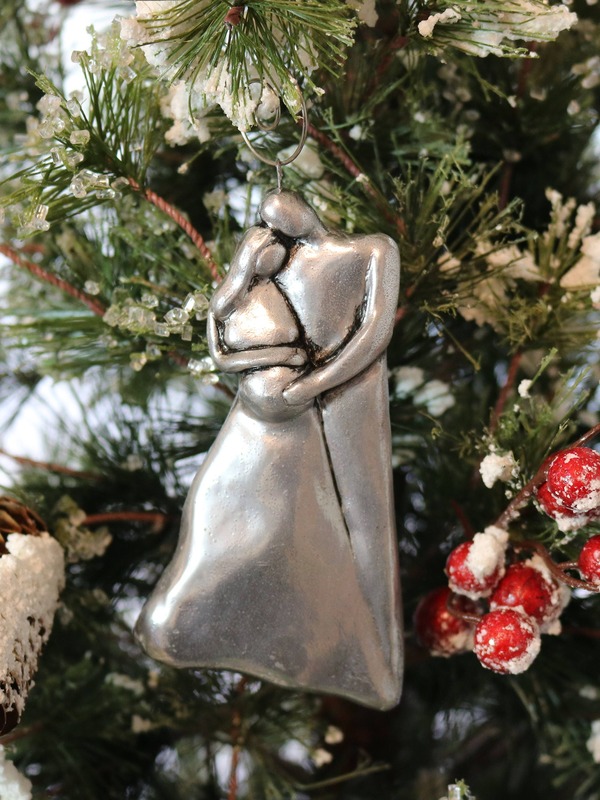 Not only does this ornament celebrate their first Christmas as expecting parents but it celebrates baby upcoming arrival! It makes a great pregnant mommy gift whether it's for a baby shower, Mother's Day, a birthday, an anniversary or Christmas. The bronze finish also makes a perfect 8th anniversary gift for the couple or a gift for your husband or wife! HOW I MADE IT: I sculpted the original design out of clay. Then I made a mold of the original sculptured ornament. Finally, I cold cast the bronze, aluminum or copper and finished it with a metal coating. 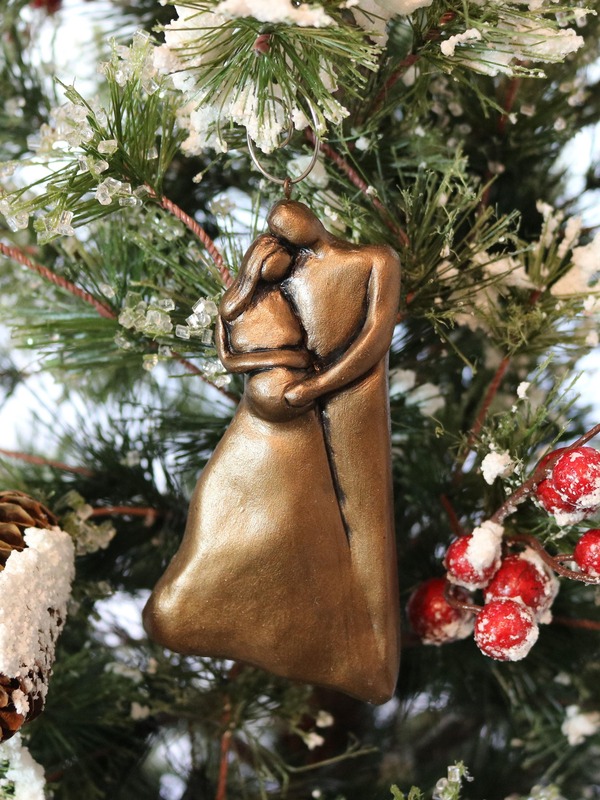 The ornament is cold-cast bronze, copper or aluminum depending on the finish you choose. I use real bronze, copper or aluminum metal powder mixed with resin to create the ornament casting. 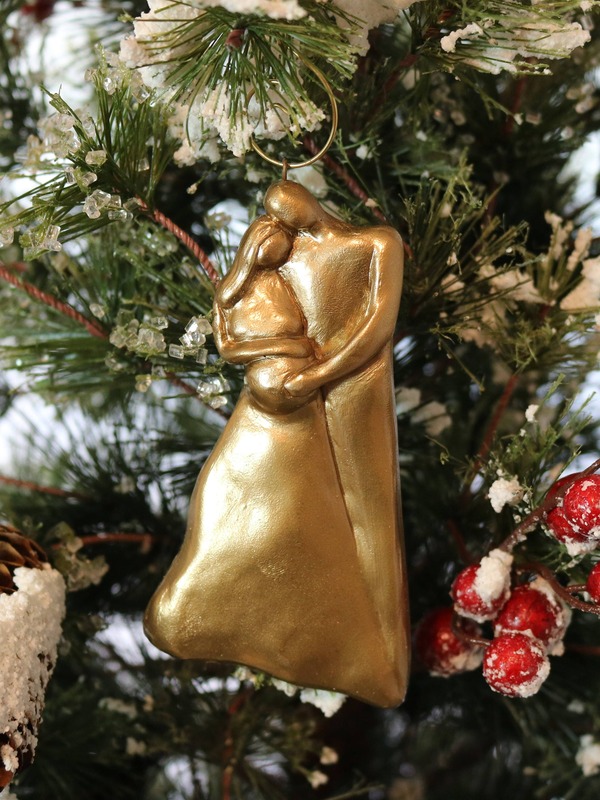 I finish the ornament with a bronze, copper or aluminum metal coating that also has ground bronze, copper or aluminum metal suspended in an acrylic binder. The ornament most definitely has real bronze, copper or aluminum in it. 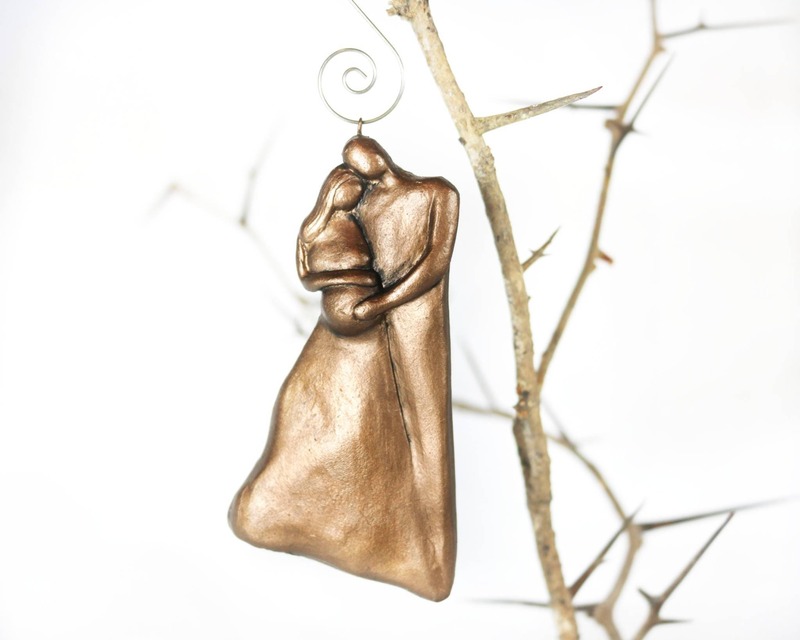 Because it is cold-casted, the ornament is lighter than a solid metal piece which makes it ideal for hanging on a tree. If you would like to add some personalized texted to be added on the ornament, please note it may extend the processing time I need to create your ornament because I custom make each stamped by hand using a photo polymer process. 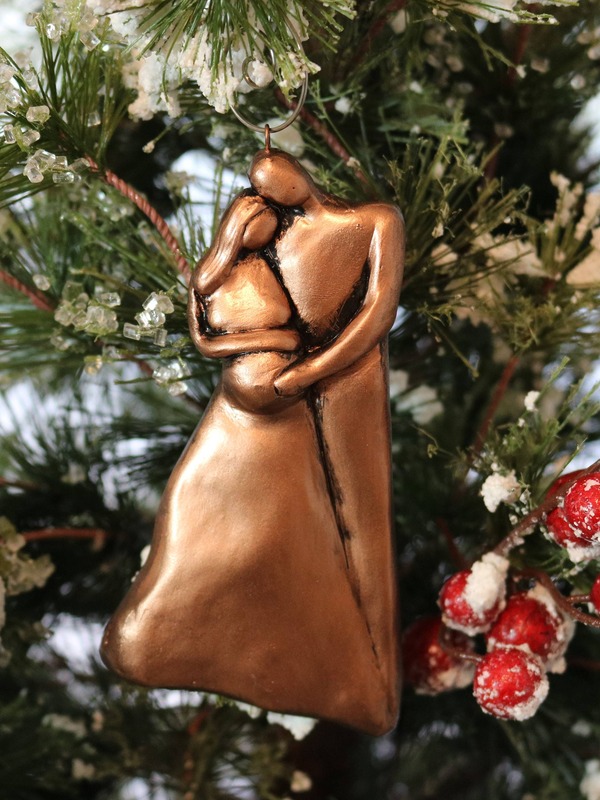 ABOUT MY DESIGNS: I create Family Christmas Ornaments, Anniversary Plaques and Sculptures all inspired by life, love, and mostly family! One key feature of my family designs is all the figures are connected and become one. I was greatly inspired by the idea of when a couple gets married, two become one. When I began to add children to my designs I continued the theme of connectedness by creating the children around the parents all emerging together.